Greetings from rainy Seattle! We’re excited to tell you about an opportunity we have to go to Kenya this summer! Our past few years have been defined by new opportunities: Josh works in film and got a movie made last August; Sarah has been teaching second grade for three years in a suburb of Seattle. These and other experiences have put us in a unique position to be able to go to Kenya. Kenya is located on the east side of Africa. 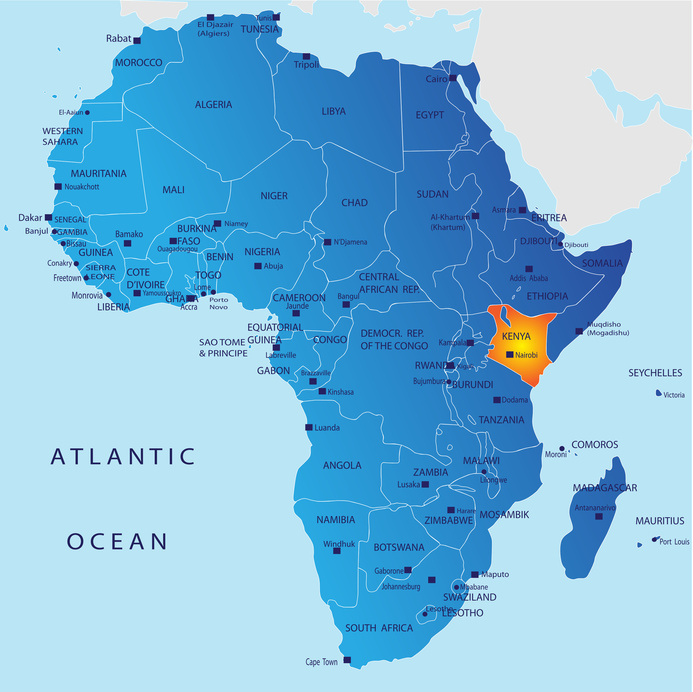 Kenya is located on the equator, situated south of Somalia and north of Tanzania. We would be staff on the Kenya Global Project, a mission trip with Intervarsity Christian Fellowship. Each year 20-30 American college students travel to Africa. As staff, we’ll be doing two things: supporting the students and making videos. In our support role, we’ll help decide where the students serve and lead small groups to help them process their experiences. In our filmmaking role, we’ll make videos for several awesome Christian nonprofits: a children’s home, a nonprofit school, a women’s development group, and the mission trip itself. We’re super excited to get the chance! The mission trip begins in early June in the Big Apple. From there, we will travel to Nairobi to spend a week learning about the people and culture of Kenya. Following this cultural orientation, students and staff go on assignment throughout Kenya. We will begin our travels in Nairobi. The assignments are spread throughout Kenya, mostly on the southern side of the country. This part of the trip may be spent in various ministry positions. Sarah has traveled to Kenya twice: she’s taught, done hut-to-hut evangelism, and worked in a women’s shelter. This year, we’ll spend the period on assignment and traveling around Kenya filming the various videos. Following assignment, we will regroup in Nairobi for continued intense cultural experiences. We’ll serve in the Mathare Valley slum, learn about the Hindu and Muslim faiths, and serve at the Mother Theresa Orphanage, among other things. We’ll wrap up our time in Kenya with a debrief to prepare to re-enter American culture. Kenya is a beautiful country filled with paradoxes: wealth and poverty in the same neighborhood; plates piled high with food given by someone who doesn’t eat 3 meals a day; spiritual zeal amidst darkness. Our desire to go is not to change the country but to allow God to change us and the individuals we encounter through our time there. The land and people have worked their way into Sarah’s heart through her previous trips. We’ve realized this time is a beautiful chance to use Sarah’s experiences and Josh’s expertise in filmmaking overseas. Three years ago, when we got married, we did a similar trip to China to learn what God is doing there. Many of you blessed us with your financial, spiritual, and emotional support when we went, and we are deeply grateful for it. Some of our first married experiences took place on the mission field! This time we need to raise $9,000. If 90 people give $100, we will reach our goal. We realize not everyone is in a place to support us to that extent, but any amount is a blessing and greatly appreciated. Prayer too, is much needed, during both our preparations and while we’re in Africa.